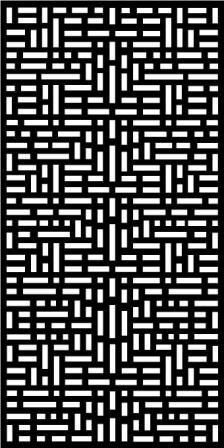 We manufacture 8 decorative screen designs in 2400x1200mm size, 6 of which are available only at Bunnings in the colours shown below. 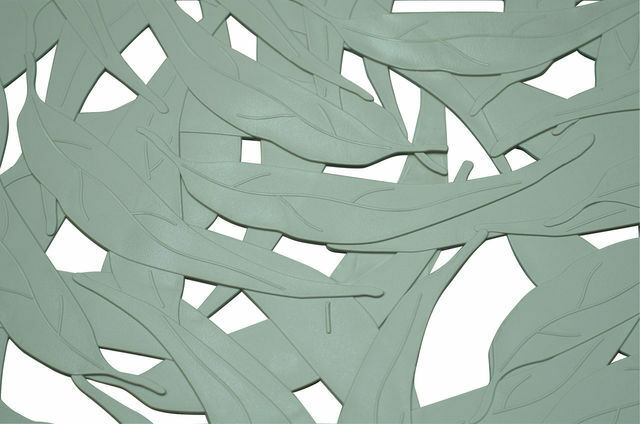 We do not manufacture any other sizes or colours in the designs shown below. 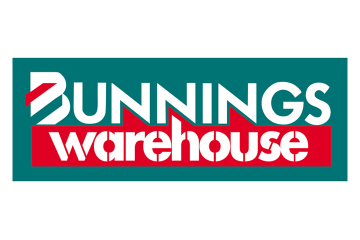 If your local Bunnings store does not have it, Special Order it. 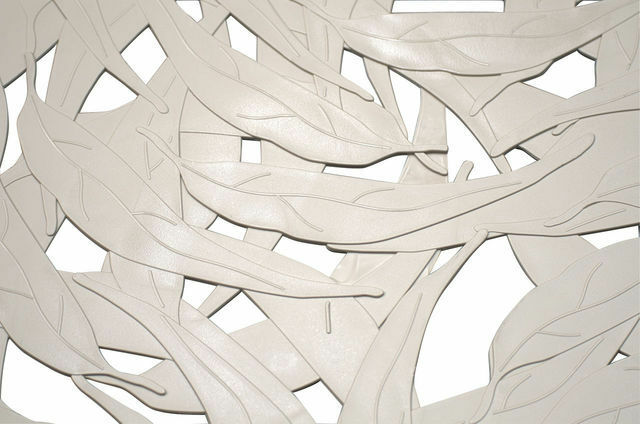 The COOLABAH is an innovative screen concept which is formed by 4 layers of overlapping gum leaves, resulting in a realistic 3-dimensional effect. 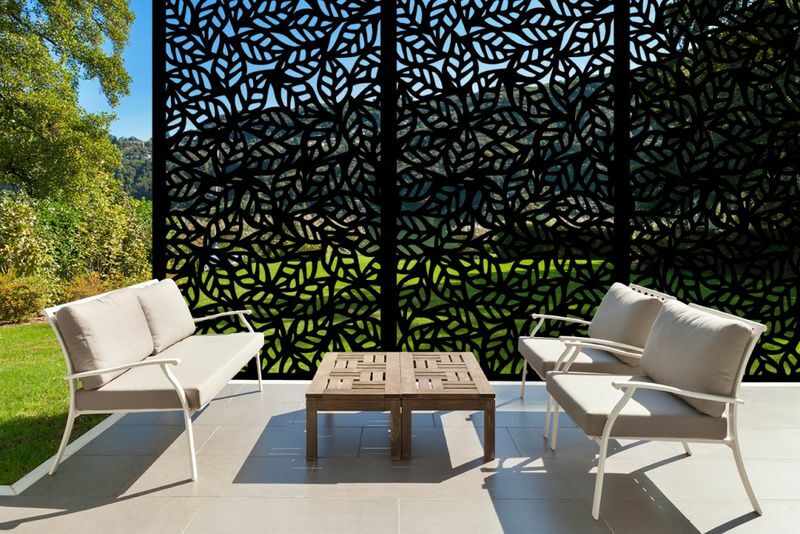 It is the ultimate in detailed screen design, with veining and fine texture on the leaves. 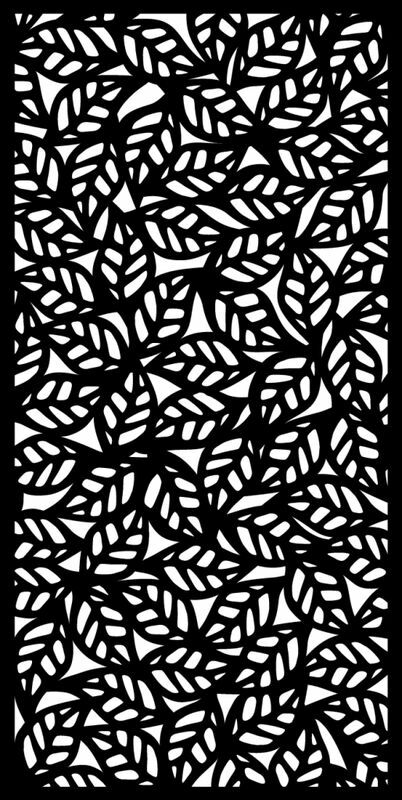 The random overlapping leaf layout offers excellent privacy. Available in Rivergum, Stone and Charcoal colours. 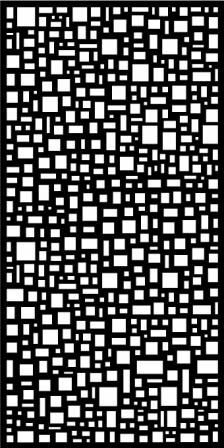 74% block-out. Note: The colours shown below may not exactly match the colour of the actual product and should be used as a guide only. The colour names in brackets are the equivalent Colorbond steel colour names. 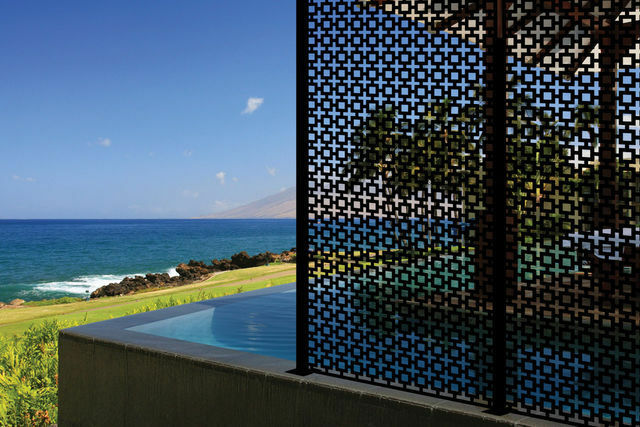 The SAHARA screen below has been influenced by the traditional North African and Asian screen styles. 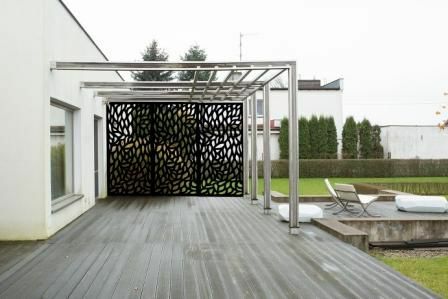 It is ideal for creating an attractive partition stat still allows sunlight and fresh breeze to pass through. 60% block-out. 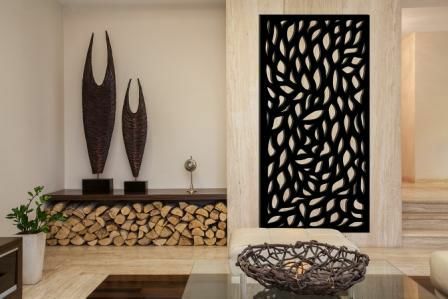 The scattered leaves of the AUTUMN decorative screen below is perfect for both contemporary and traditional spaces. 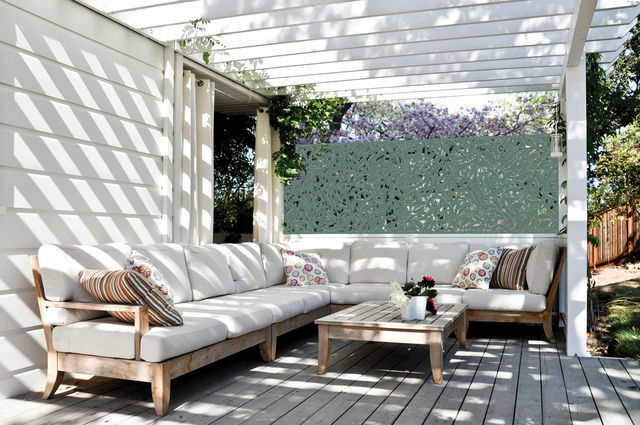 It can add a romantic touch to your garden area or bring some natural elements indoors. 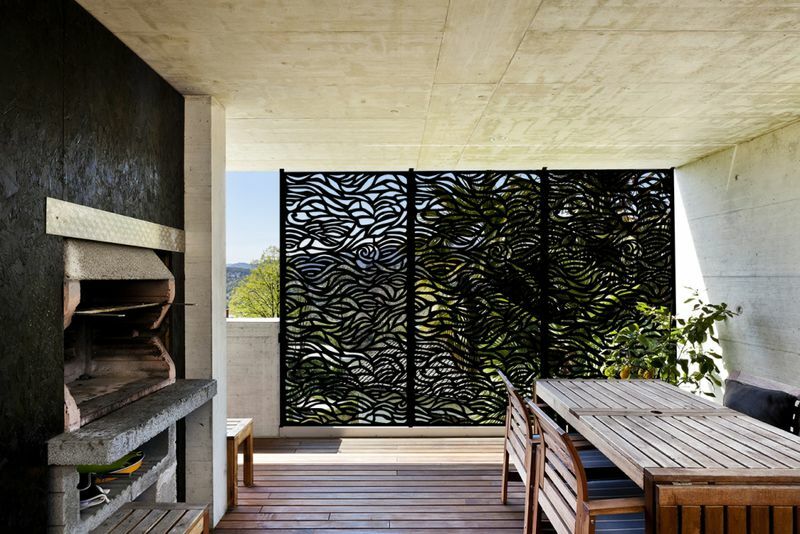 Outside it casts a dappled light reminiscent of falling leaves. Available in Charcoal colour only from Bunnings Special Orders. 65% block-out. 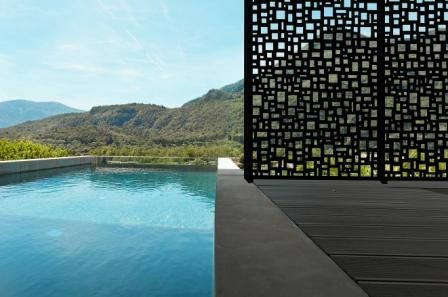 The MOSAIC decorative screen below will lend a contemporary feel to any garden or indoor setting. 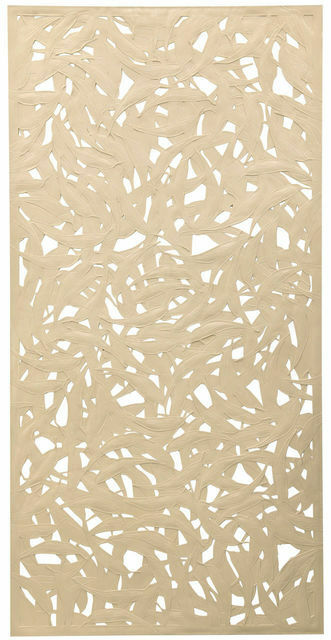 The creative tile pattern adds texture reminiscent of crazy paving and allows through a gentle light for a summery vibe. Available in Charcoal colour only from Bunnings Special Orders. 62% block-out. 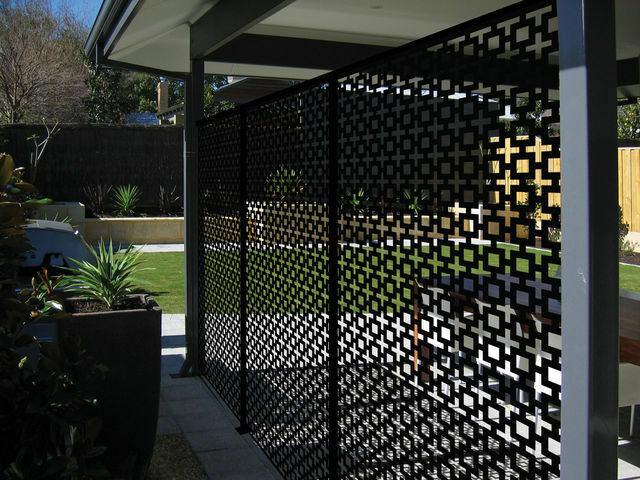 Add some bold contrast to your outdoor area with the geometric design of the TESSELLATION decorative screen below. The clean, architectural lines make it a perfect choice for contemporary spaces. Available in Charcoal colour only from Bunnings Special Orders. 66% block-out. 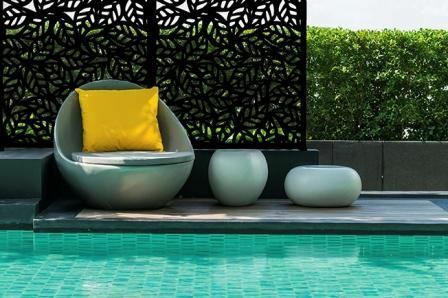 The dense foliage design of the RAINFOREST decorative screen below provides maximum privacy and shade, making it perfect for a poolside wall or to shade a jungle garden. 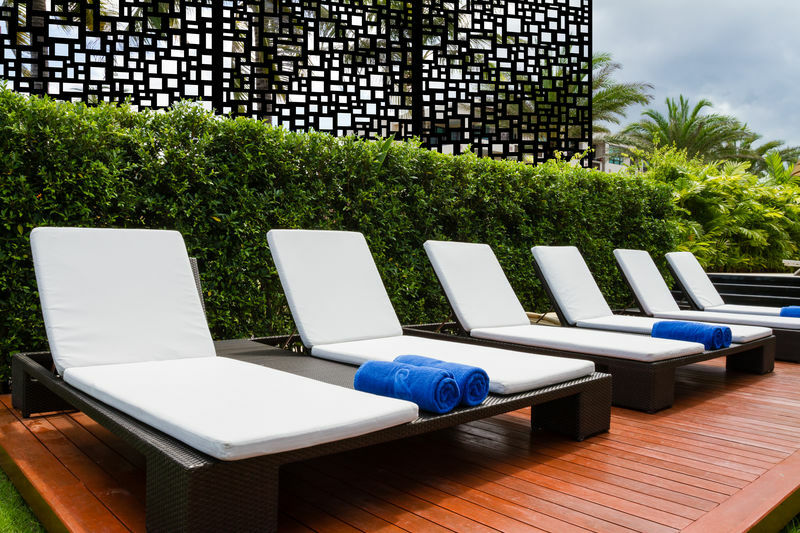 The dramatic leafy pattern makes for an impressive outdoor feature. Available in Charcoal colour only from Bunnings Special Orders. 84% block-out. 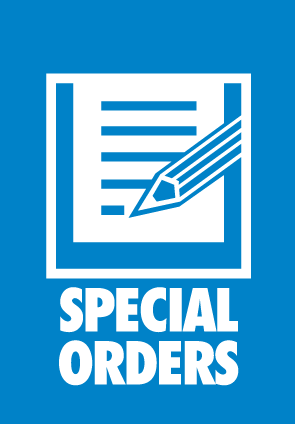 If your local store does not have it, Special Order it. 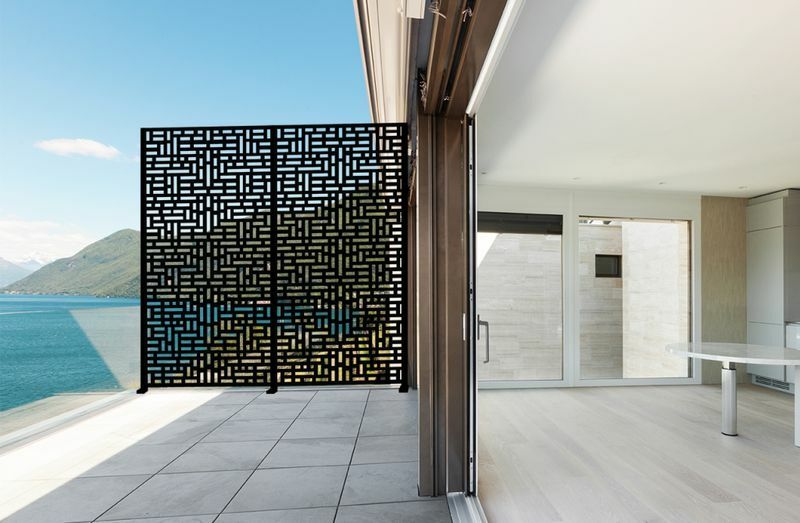 The two decorative screen designs shown below are available at Stratco stores and can also be ordered through Mitre 10, Home Hardware, Thrifty Link and some independent hardware stores. 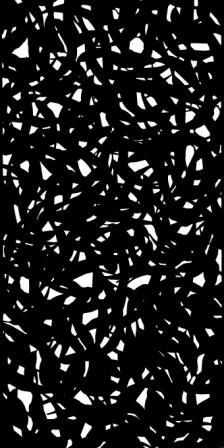 These two designs are 2400x1200mm in size and are available in Charcoal colour only. We do not manufacture any other sizes or colours in the two designs shown below. 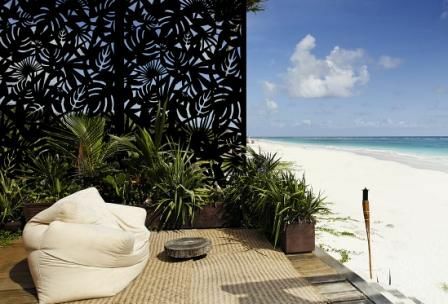 Bring a calming beachside aspect to your home with the OCEAN SWELL decorative screen shown below. 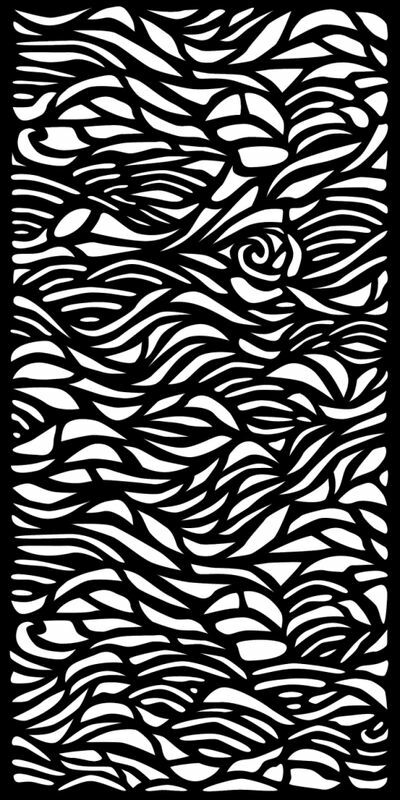 The undulating wave design invokes the gentle rocking of the water. 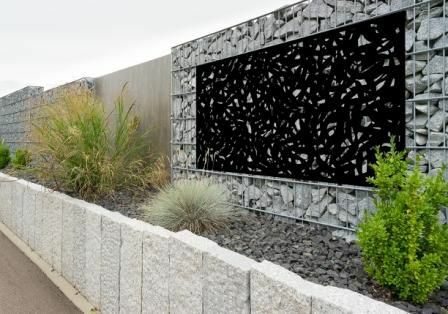 The large size of these screens makes them perfect for creating an outdoor wall or divider. Available in Charcoal colour only. 62% block-out. 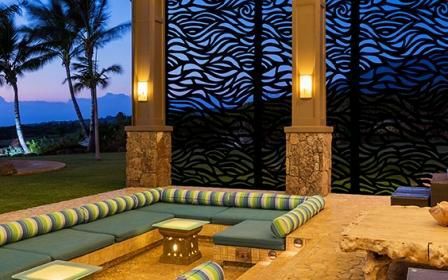 The bold design of the TROPICAL decorative screen will enliven any outdoor space. 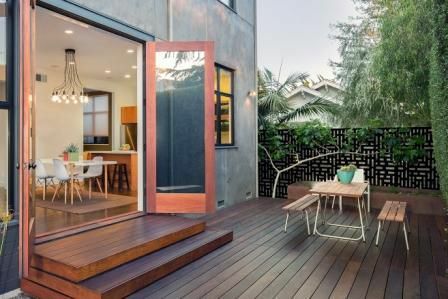 The gorgeous jungle leaf pattern of this screen looks particularly impressive when used in multiple to divide a larger space or create a wall. Available in Charcoal colour only. 70% block-out.